Get that home or auto loan, improve your credit score, reach your credit goals. Custom credit restoration programs tailored to individual credit profiles. Credit Repair at it's best. Over a decade of proven industry expertise improving credit files to their highest potential scores. Credit Score Restore's team of credit repair pros want to help you reach your credit repair goals. We specialize in a variety of proven credit restoration services. Let us increase your credit scores and clean your credit history. Whether you need to get approved for a loan or just want to clean your credit, we are here to help. Professional Service. Results Guaranteed. 10+ years experience. Speak to a credit counselor for free, there's no obligation. Receive a free credit report that analyzes credit history for errors, derogatory accounts, and misidentifying information. A credit clean up strategy personalized to your credit goals. Our results are proven and money back guaranteed. With over a decade of repairing inaccurate or unverifiable information. Responsive and educated staff on all credit reporting laws. Completion rate may vary by client's individual credit profile and by bureau's process. Contact us for your free consultation to give you an estimated analysis. Is my Credit Karma score accurate? Credit Karma gauges on what your FICO score "could be." However, it is a Credit Karma score and not an actual FICO score. 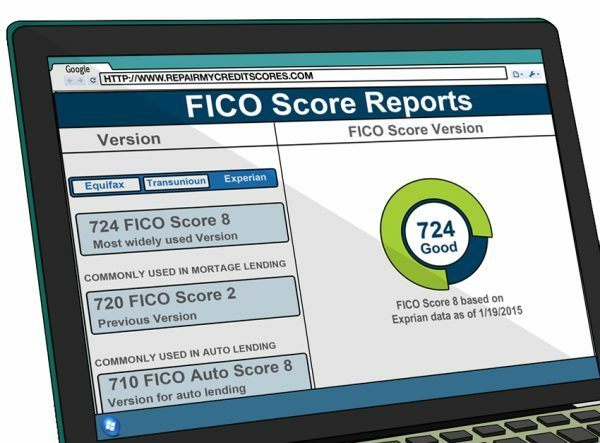 Most banks use the FICO score solely to analyze the risk of a consumer credit profile. These scores can be purchased at www.myfico.com. Rarely when accounts are deleted on a credit profile do they come back. Although it is rare and unlikely to happen, there is a Fair Credit Reporting Act provision that can allow the reinsertion of an account after it's deletion. But, these cases are very rare. We do stand by our warranty on the deleted items we have helped delete. If it were to come back, we'd help delete it again, no questions asked. The cost associated to your credit restoration is specific to your individual credit file. There is no set rate. Feel free to contact us for a free consultation. Fill out the form and one of our credit repair partners will call you back as soon as possible or call us anytime at 1-888-237-2673. Celebrating over 10 years of service, Credit Score Restore has expanded from South Florida to Central Florida. We have helped countless consumers and their credit profiles reach their personal goals. From A-list celebrities to the regular public, no job is too big or too small. © 2006 Credit Score Restore, LLC. "Repair My Credit Scores.com" — Credit Repair, Consulting, All Rights Reserved.